Last spring YAA localized the The Alliance for Young Artists & Writers’ annual Best Teen Writing book concept, a collection of the nation’s best grade 7-12 writing, by selecting from 2014 Gold Key and Silver Key Awards honorees works to create Arizona’s first ever Best Of teen anthology in state history: Bloom: Best Arizona Teen Writing of 2014. 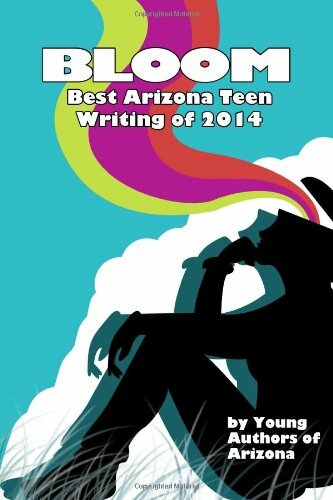 Last year, 63 of Arizona’s grade 7-12 authors earned publication space in Bloom: Best Arizona Teen Writing of 2014. This year, YAA offers publication opportunities to Scholastic Writing Awards and Scholastic Art Awards participants. Who will earn publication this year? Please support a 2015 “best of” book by purchasing Bloom individual copies and discounted class sets. Be aware that the book contains some slang and sensitive content; teachers are encouraged to preview and use works in class. While these compositions may not be “classic” models, they have been judged as top works, written by teens, that can connect with grade 7-12 language arts students who may prefer studying peer authors. YAA hopes that educators will identify Scholastic Writing Awards categories that align to your first-semester writing projects, then use Bloom and the Awards as inspiration for students to embrace all writing process stages—notably revising, editing, and proofreading—incentivizing them to earn positive recognition and even 2015 publication. Bloom is available for sale in individual copies and in discounted class sets. All proceeds help YAA support Arizona language and media arts and to produce future YAA “best of” publications. Ordering discounted class sets through Phoenix Book Company; if you order through Phoenix Book Company, please follow the previous link and reference the following ISBN# in your order: 1490367187. YAA is gradually sharing standards-based lessons and other resources to supplement works in this anthology. If interested in sharing lesson plans online that incorporate content from Bloom, e-mail Bloom Executive Editor Billy Gerchick at youngauthorsofaz@gmail.com. YAA looks to our Best Arizona Teen Writing of 2015 book and publishing our 2015 “best of” art works. If skilled and interested in helping YAA with print and digital publishing, e-mail Executive Editor Billy Gerchick at youngauthorsofaz@gmail.com.